At the Becari Language School, we specialize in offering many different options for any person interested in learning our beautiful Spanish language. To study at Becari is not only to learn a new language but also to enter another culture. We are a medium size school which prides itself on careful and sustained attention to each student regardless of his or her level of proficiency with a staff of qualified teachers. who have ample experience in the field of Spanish as a second language. Three hours of classes, five days a week, divided into two sessions with a different teacher for each session. The first session includes a review of specific grammar points through dynamic and interactive learning. In the second session, the student practice what they have learned through conversation and practical exercises. There is fifteen minute break between the two sessions. Classes run from 9:00 a.m. to 12:00 p.m. or 4:00 to 7:00 p.m.
Four hours of classes, five days a week, divided evenly between two teachers. This program allows student to dedicate more time to developing conversational skills. There is also a fifteen minute break. Classes run from 9:00 a.m. to 1:00 p.m. or 3:00 to 7:00 p.m.
Six hours of class five days a week divided in to three sessions, each with a different teacher. There is a fifteen minute break between the first two sessions. The last session is held after la comida (between 4 and 5:00 p.m.). 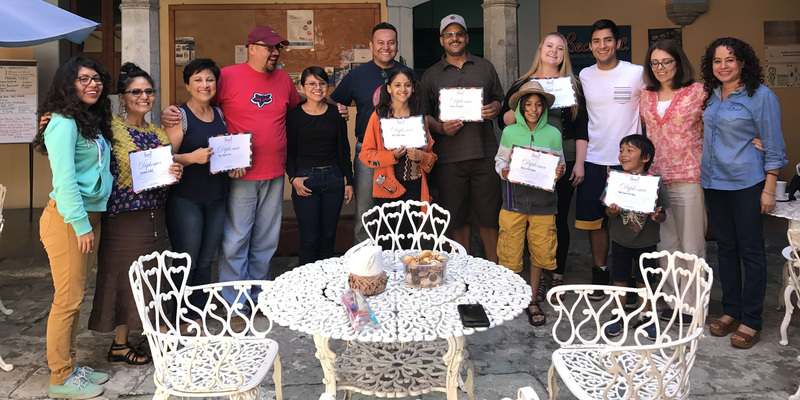 This program is recommended for students who do not have a lot of time to spend in Oaxaca and really want to improve their language skills quickly. Four hours of regular Spanish classes five days a week divided in two sessions, each a with a different teacher. And two more hours of workshops in the afternoon, 4:00 – 6:00 p.m.
25-30 hours of volunteer work at different organizations. Now you can continue with your Spanish lessons without leaving home, with professional teachers, flexible schedules. Contact us for more details. Test your Spanish proficiency with this quick quiz. Click here! 1. En la casa hay ---ununoel patio grande. 2. Oaxaca es ---launasuna ciudad hermosa. 3. ---UnUnoElUna libro de español es muy barato. 4. ---UnUnasLos niños juegan en el parque. 5. ---LasLaUn mamá prepara la comida. 6. ---ElLaUn calle está muy sucia. 7. ---ElLaUna mapa está enorme. 8. No puedo leer ---ellaslo periódico. 9. ---elunalo árbol es muy grande. 1. La ciudad de Oaxaca en el sur del país. una ciudad colonial y muy bonita. El zócalo en el centro de la ciudad. muy tranquilo y muchas familias lo visitan. Becari cerca del zócalo. Oaxaca tiene muchos atractivos. La iglesia de Santo Domingo en el andador turístico. una iglesia preciosa. Junto a ella el jardín ethnobotánico. 1. Mi cuento es interesante pero el de (usted) es mejor. 2. Este cuaderno no es tu cuaderno es el (ellos). 3. (Nosotros) costumbres son muy diferentes. 4. No estoy de acuerdo con tus ideas, estoy de acuerdo con las (él). 5. Creo que (tu) vestido es elegantísimo. 1. La semana pasada (ir) al circo. (haber) muchos payasos y muchos animales también. (gritar) cuando (ver) al león porque me (asustar). A mí me (gustar) mucho el acto de malabarista. 1. Ojalá (llover), hace muchísimo calor. 2. No creo que Elena (venir) en la tarde hoy. 3. Es necesario (estudiar) para sacar buenas calificaciones. 5. Si Tere me (haber pagar), te lo (haber decir). Test your Spanish proficiency. Click here! 3. costumbres son muy differentes. One week full of traditional activities to celebrate the Day of the Dead. 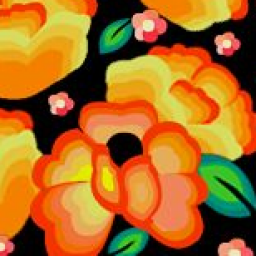 One lecture: "Traditions of the Day of the Dead"
Includes: Group classes with maximum five students/Intensive program (20 hours a week) No registration fee / Accommodation with a Mexican family/ two meals with the family / Celebrate with us our traditional "Posada" on the last weeks of December (after the 18). Includes: 2 weeks of Regular group lessons (15 hours per week). 2 weeks of accommodation with a Mexican family/ two meals per day. One cooking class, preparing two dishes. One long excursion on Saturday from 10 am to 6 pm. (Monte Albán, Cuilapan, Arrazola, Atzompa). I can say that Becari M. Bravo offers an outstanding educational program in a warm, intimate setting. Me encantó trabajar con mis maestros, además de la lengua aprendí mucho de la cultura, la vida de Oaxaca. En la escuela siempre me ayudaron cuando tenía preguntas, me sentía muy bienvenida.